Changing Careers at 35 – Can It Be Done? If you can still remember the 90s then you might recall the old Sunscreen song. This weird but fascinating spoken song dispenses a lot of advice and tells us that some of the most interesting 40 year olds still don’t know what to do with their lives. How can this be true? By 40 you should be settled into a steady job and with one eye firmly on retirement, shouldn’t you? Well, in my own case, I was well into my 30s when I decided to give up my job in financial services, move abroad and embark on a series of increasingly unlikely new careers (working in a bank on the beach in Spain, opening a grocery store in South America, running a pig farm). All of this ended up with my doing my ideal job of writing for a living but how can you change your own career at 35? If you started working at, say, 20 then by the time you get to 35 you will have been working for 15 years. However, if you look ahead then you will see that you could still have the best part of 3 decades of your career ahead of you. Do you really want to do the same thing for all that time? If you have looked after yourself then by the time you get to 35 you will feel strong, healthy and youthful. Is it not likely that you will feel the drive and energy to try something new*? Sure it is, and you owe it to yourself to keep on trying new things whenever you feel the need. 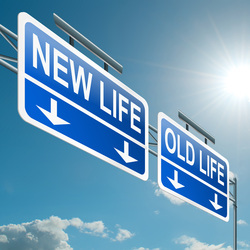 Is changing your career at 35 likely to throw your finances into utter disarray and give you a miserable life forever? Of course it isn’t, provided that you do it right*. In fact, if you do it right then you could enhance your finances in the long term. By the time you get to 35 you should have a clearer idea of what you are good at and what you want to do with your life. If you make a smart career change at this stage then you are more likely to earn well in the future than by sticking to something that you chose when you were younger and less sure of your skills and interests. If you approach your career change with care and thought there is no need for it to cause you any great financial disruption at all. When you get to your mid 30s you begin to know what it is that makes you happy. Of course, this means nothing if you don’t then do something about it. As well as understanding what makes you happy you need to do something about it. This means taking a chance on doing something new and running a few risks. If you think that 35 is too late to do this then maybe it is time to think again. Getting into a new career at a relatively mature age isn’t the easiest thing to do. You might find that some employers are a little wary of recruiting people over the age of 30. However, there are also employers that realize the importance of mature, motivated staff. Once you know what it is that you want to do then you should do your very best to make it happen. What Is Holding You Back from Setting Up Your Own Business? 14 Responses to Changing Careers at 35 – Can It Be Done? I can totally relate to this post. I’m in my early 30s and am strongly thinking about a career change in possibly web development, which is something I would have never considered even 2 years ago. I just wrote a post on how frustrated and unhappy I am with my job and job situation. I feel like I am in desperate need of a change and there are no opportunities available. I know someone who changed her career at the age of 37. She used to be a chef in a fine restaurant but she suddenly turned to be a photographer. She added that she really wanted to be a professional photographer that’s why she gave up being a chef. I don’t think 35 is too old to change your career at all. People have to do what makes them happy instead of what society tells them to do. This is pretty much my plan! Reach financial independence then change careers around 35, probably by going to grad school. I am getting ready to change careers because I’m retiring from the military. I realize that I do have a slight advantage to having a military background to help me land a job, but I don’t think its ever to late. If you have the drive, education, and determination you can make it work. I think changing careers in your 30’s is definitely doable and even a good thing. I’ve know too many people that decide to change careers in their 50s and that has a lot of downfalls to it. Changing careers is tough, but at 35, you are still young enough to be able to pull it off and really grow your income in your new field. I certainly hope it’s possible! The husband is in his 30s and working hard to wrap up his first bachelor’s in a field completely different than what he was doing pre-college. Going back to that is not an option.